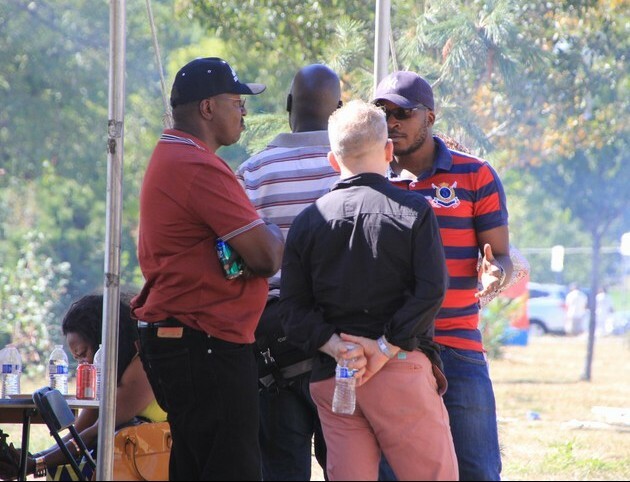 By Daniel Kalinaki — Your columnist recently found himself attending a gathering of Ugandans living in America. Now, some of ‘our things’ never leave us, regardless of where we go. So you had the sisters sitting around tables gossiping, the drink-driving blokes, the overloaded cars, the ‘imported’ home musicians, and the mandatory stalls set up to sell crafts and knick knacks from home. But things have changed in the Diaspora, I was told. The story, as I understand it, goes like this: many years ago, some of the early migrants set up the Uganda North American Association (UNAA), which would become the largest formal Diaspora group. They communicated regularly and met annually. Not too long ago, however, divisions started emerging. The cause? Money and politics, as usual. Keen to win support among an organised and influential group (we get more money from our nkuba kyeyos abroad than from exporting coffee and fish), the government in Kampala started engaging UNAA. Soon official delegations were flocking to the annual events from Kampala, bearing gifts and meddling in the association’s elections. It was not long before people disagreed over sharing and control of the influential group. A splinter group emerged last year and held a rival convention across the street from the ‘official’ UNAA. This year one group was in New Orleans, the other in New York. Those of us closer to home would not, of course, find these events entirely surprising. Every organised interest group in the country – the churches, the mosques, journalist associations, the teacher’s union et cetera – have been divided by the injection of some money and a lot of politicking to stir fights. That it got to the Ugandans in the Diaspora is disappointing but not shocking. First of all the money given by the government, said to be around $100,000, is just around the cost of a land cruiser and, for many UNAA members, not even enough to pay off the mortgage. However, it is the politics that should interest us more. For a long time many Ugandans in the Diaspora were refugees fleeing persecution of whichever regime was in power. So while some communities had more numbers than others based on how vindictive a new regime was, the Diaspora demographics were generally democratic, representative of the country’s political scars, and highly politicised. I suspect that the fights in the Diaspora today represent a shifting in the demographics. You see, over the last two decades many Ugandans have gone abroad to school with the support of the government. They are not all from the same part of the country as some cynics would say but it is safe to say that many weren’t selected through merit but by bloodline or ‘historical contribution to the struggle’. Because they go to good schools abroad and often settle into decent jobs after graduation, this group of Ugandans in the Diaspora has become a sizeable and important demographic. Now if these Ugandans were selected on merit – if we sent the top 100 students to American universities every year – this demographic would roughly be more representative and would owe some form of allegiance to the country. Like the early group of Ugandans who went to study in Britain in colonial times, they would agitate for reform and to see the efficient and relatively inclusive governments they see in their host countries. Since many of them owe allegiance to the patrimonial state instead, they feel compelled to defend its worst excesses and occupy reformist institutions like UNAA. If that theory is true then we shouldn’t be surprised that we have exported our petty, narrow, money-driven politics abroad; we should applaud the Ugandans in the Diaspora for having resisted for as long as they did. Mr. Kalinaki, it’s true that the government of Uganda gives UNAA $100,000, $50,000 goes to UNAA and $50,000 goes to the local communities in different states. Many of the leaders who were in New York at “UNAA causes” are supporters of the Kampala regime based on that, I would not come to the same conclusion as you did. Secondly, the government money didnot start coming in 2013 when Brian was elected President, most of the past leaders who were in New York received this money. My question to them is, why didn’t they refuse it? Personally I think the problems in UNAA are both generational and financial. You have people who used to financially benefit from UNAA when they were in leadership and you have those who feel they are being sidelined by the Young generation. The 3rd group has those who feel they own UNAA and should be the source of power. All these groups are fighting among themselves and with the young generation. This Is the reason for the two conventions the past two years not because of government money. I don’t support the Kampala regime but if they provide some kind of help so we don’t leave debts in every city we hold a convention, as a leader I will take it. However, if UNAA members decide against receiving that money, then as leaders we have no option but to stop receiving it. UNAA belongs to the members and per our Constitution they have the final say. Finally, I call upon everyone who wants to see Ugandans in North America United to come together and join Mr. Monday Atigo who is our current President in reaching out to the different groups. Let us move UNAA forward by respecting each other. Together we Stand. Very informative piece the political refugees who would form the group that is opposed to government at home are now dying out. Most of these new Ugandans range from state house maids to presidential aides. I personally recently met a group of Ugandans very positive about the regime at home in utter shock.I thought they would hate NRM like I did but this wasn’t the case.They were students on masters and PHDs so there is no place where the regime has not invested.My only problem is someone at masters and PHD not knowing he or she is being used against his citizens. Peter if you have been following UNAA since the Dallas convention you wouldn’t have written such a misleading response.There is no political gimmicks in the splitting of UNAA…The thing is Democraticy…as soon as Brian Kwesiga won the vote on merit in Dallas everyone gave him a loud applause and indeed a lot was expected from him. I for one was surprised when I got a call from a comrade who was a board member of UNAA asking me to boycott UNAA convention and that I should join UNAACAUSES. …I hestated..but as time went I noticed that all the strong UNAA COUNCIL members were resigning and the entire board of Trustees followed and of recent the entire Electoral Commission resigned too!!!! As time went on Mr . Kwesiga remained in office like a President of a country without cabinet ministers and no parliament nor Chief Justice! !! They all resigned basing on one thing. .Abuse of office and dictatorship! !!! .finally no Ugandan in the USA is fighting the Uganda government. ….Atigo.andhis group need to sacrifice for UNAA!!!! OTHERWISE UNAACAUSES ARE HARD LINERS FOR NOW. FOR GOD AND MY COUNTRY!!!!!!! When I attended the official UNAA convention in 2014, many attendants were clearly rattled by the presence of Kadaga and her impromptu opening statement at the investor summit. As an outsider to the group (who actually picked up a distribution business at the event), I can clearly see that the issues you address here are present. As for why? I could hardly hazard a guess. What a scenical article, did no homework and doesn’t seem to understand what Unaa is about! Sorry but Not impressed you get an ‘F’ for content and ‘F’ for research and understanding and capital A for gossip. Please do your homework first it helps to have the facts and full understanding of the subject before you present it to your target audience. Oh well, maybe you have a point in a gossipy kind of way. It’s one way one could view the new demographic of diaspora Ugandans and perhaps your analysis here might just be a tiny weeny bit interesting. Hmmm interesting idea to ponder. if you are one of the Unaa leadership your comments are disappointing also, I feel you definitely need to listen more to the members and revisit Unaa objectives and constitution then perhaps Unaa stands a chance of reconciliation if the leadership are fully engaged with the real gripes members have causes included.